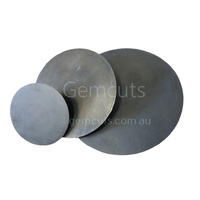 Flexodisc rubber backing discs are available in 4", 6" & 8" diameters. 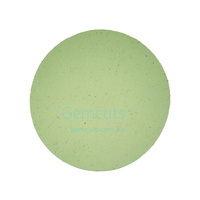 They are designed to be used with Crystalite Flexodiscs, Crystalpads, and Polypads with PSA (self adhesive) backing. 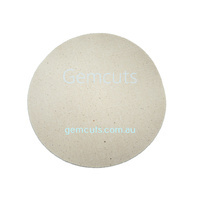 To achieve the best finish it is necessary to use a rubber neoprene pad between the Flexodisc and the polishing pad. 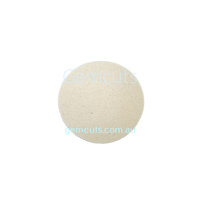 Crystalpads are made from resin treated fabric designed to accept a charge of diamond compound. 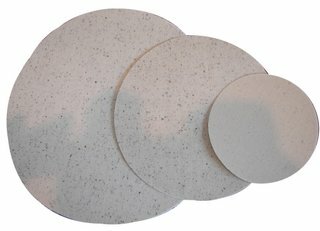 These pads and belts have been designed to eliminate orange peel and undercutting. 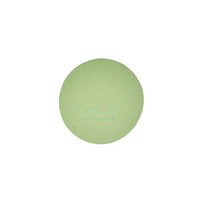 Pre-polish Crystalpads are used with diamond compound 1200 or coarser. These are brown in colour. 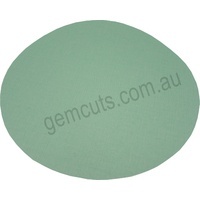 Final Polish Crystalpads are excellent for the final polish, using 3000, 8000, 14000 and 50000 mesh diamond compound. 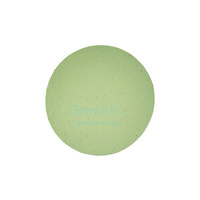 They have the necessary drag to flow finish a gemstone. 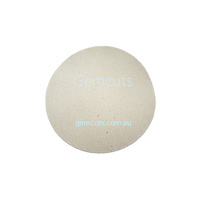 These pads are cream coloured. 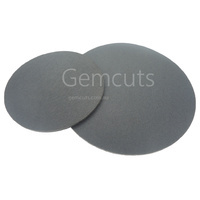 Using these pads will prevent undercutting and produce a showcase finish on almost all lapidary stones. 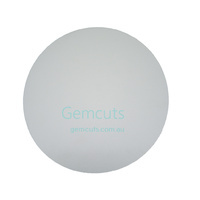 Use a silicon lubricant with the diamond compound. Do not use water. 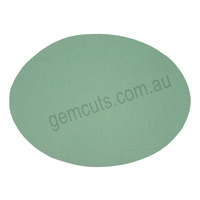 Polypads are made from a leather like synthetic material and is used for the polishing (not sanding) step of softer stones such as opal and turquoise. 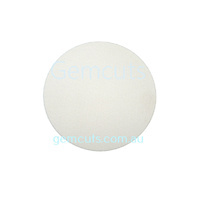 Polypads are used with 8000 and finer diamond compounds and are white in colour.